Located at 64 North Main Street is our Sellersville location in Bucks County. Bucks County is the 4th most populous County in Pennsylvania. While many areas of Buck’s County have a higher population density, we have chosen Sellersville in Upper Bucks County for several reasons. The Sellersville location will serve many communities which would otherwise be underserved. Upper Bucks County is a region with very little public transportation. Sellersville is accessible from routes 309, 113, 152, 563, the Northeast Extension and the Pennsylvania turnpike. It is in close proximity to many populations including Lansdale, Warrington, Perkasie, Quakertown, Chalfont, Red Hill, Harleysville, Montgomeryville, Telford, Souderton, Pennsburg, New Hope, Buckingham, Franconia Bedminster Township and New Britain. TerraVida’s Sellersville location is also less than two miles away from Grand View Hospital. Grand View Hospital serves nearly 35,000 patients a year from 40 zip codes in Bucks and Montgomery Counties. We hope to serve these very patients from many areas in Bucks and Montgomery Counties who don’t have access to health care services elsewhere. In addition, Grand View hospital is affiliated with Fox Chase Cancer Center. TerraVida has partnered with Dr. Suzanne Miller at Fox Chase Cancer Center, to provide our data, free of charge, to assist and advance research of medical marijuana for the various forms of cancer. 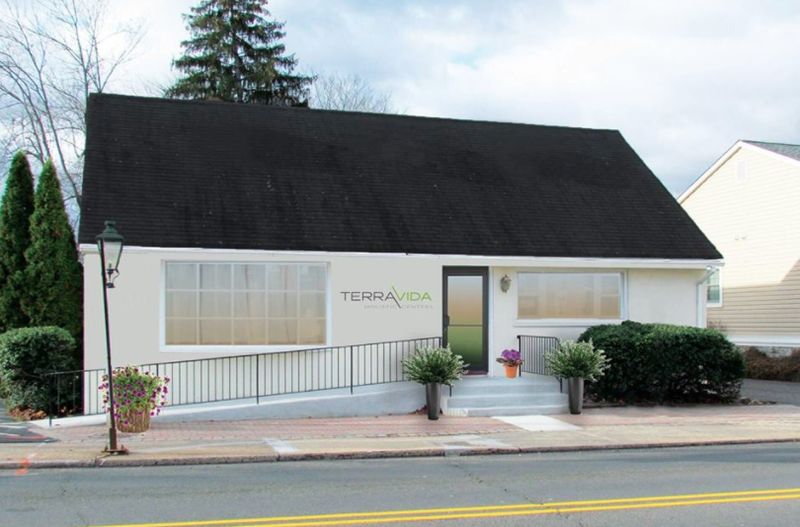 Because this region of upper Bucks County is underserved, TerraVida is particularly interested in providing patient access and community outreach to veterans in Bucks County. Since November of 2001, Bucks County Veteran’s Transportation Program has been providing Bucks County’s veterans in need of services FREE transportation to Philadelphia and Coatesville to the VA Hospitals. This program is not funded by taxpayer dollars, and depends on donations and fundraisers to survive. It is TerraVida’s goal to give back to this amazing organization and to expand their services to have more pickup locations, more buses, and more access to veterans from Upper Bucks County in need of hospital services, once we are fully operational.